Hi TT&J peeps! 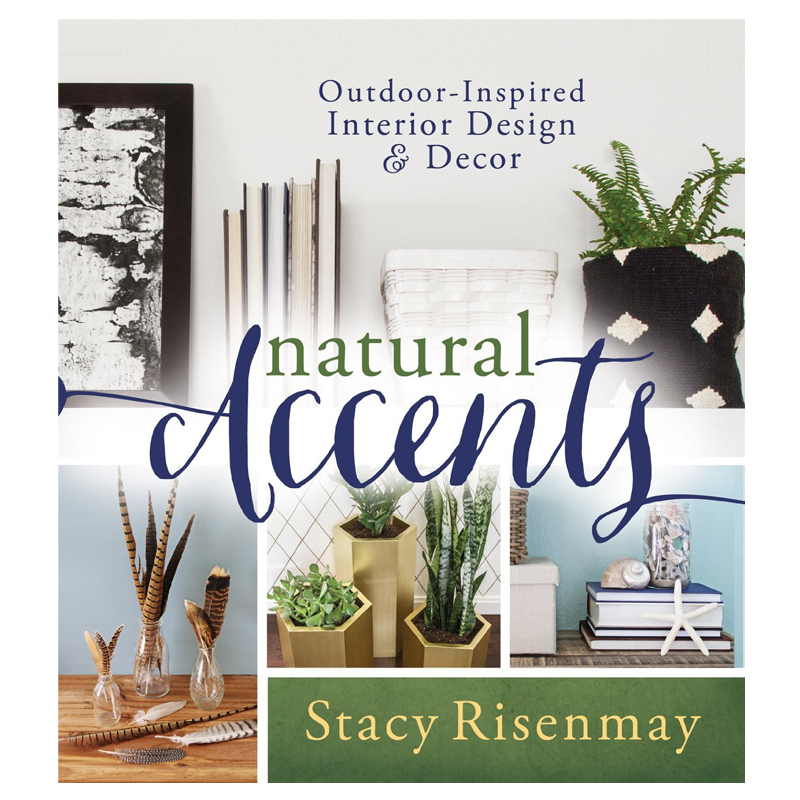 I am Stacy and I blog at Stacy Risenmay – Not Just A Housewife. 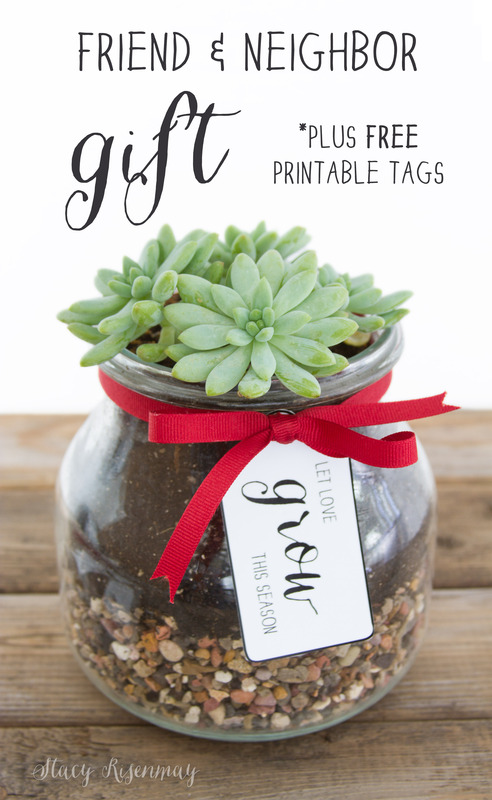 I am so excited to share with you a super simple gift idea for your friends, coworkers, and neighbors. This idea actually comes from my book called Natural Accents. It is full of easy, affordable (sometimes FREE) projects for your home. 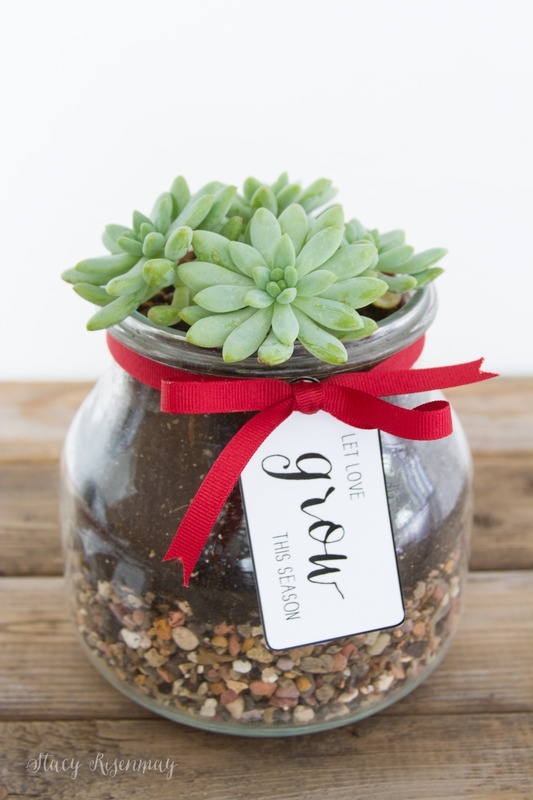 Many of them would make great gifts like this glass planter. Anytime you have a plant, you need to pot it in something that will allow the water to drain. In most cases this mean a hole in the bottom of the pot or the container. But you can also provide drainage by adding rocks to the bottom. 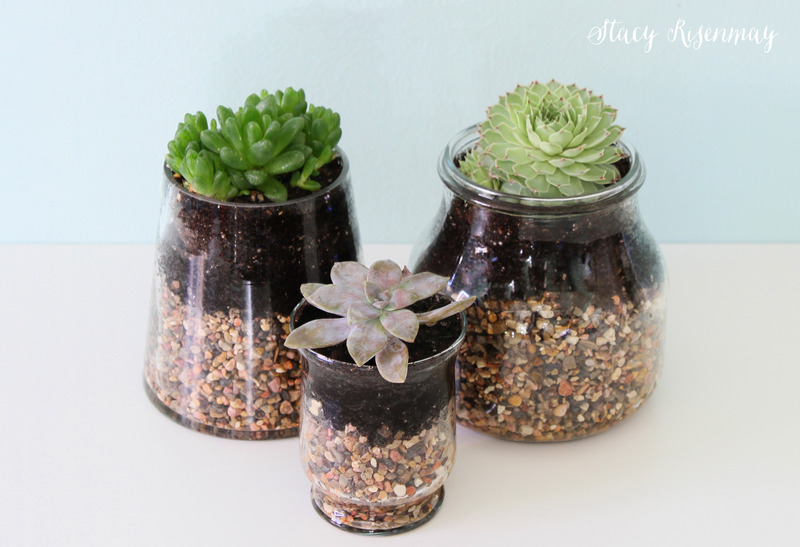 This is a good option if you use a clear glass container as your pot. 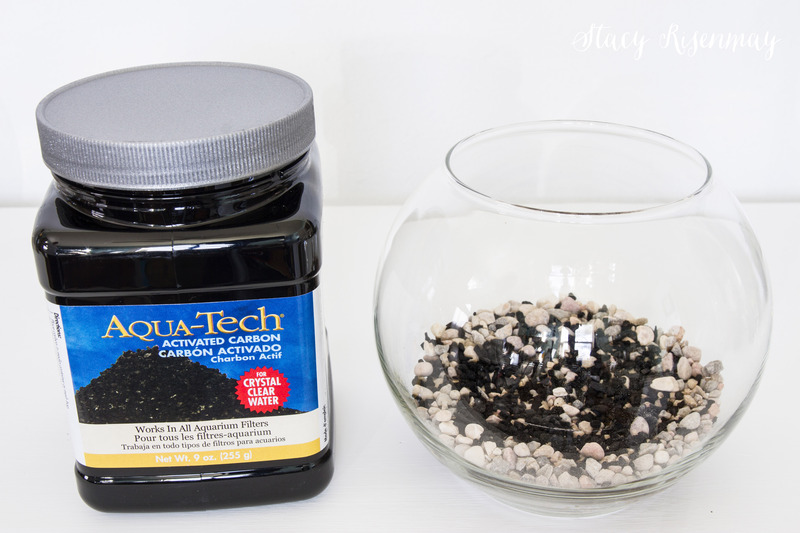 Add some pea gravel to the bottom of the container. To avoid and green gunk from growing over time add some carbon next before you add the soil. It is inexpensive and is found in the finsh tank section of any store that sells pet supplies. I got mine at Walmart. Add enough soil that the plant will have some room to grow and stretch it’s roots. 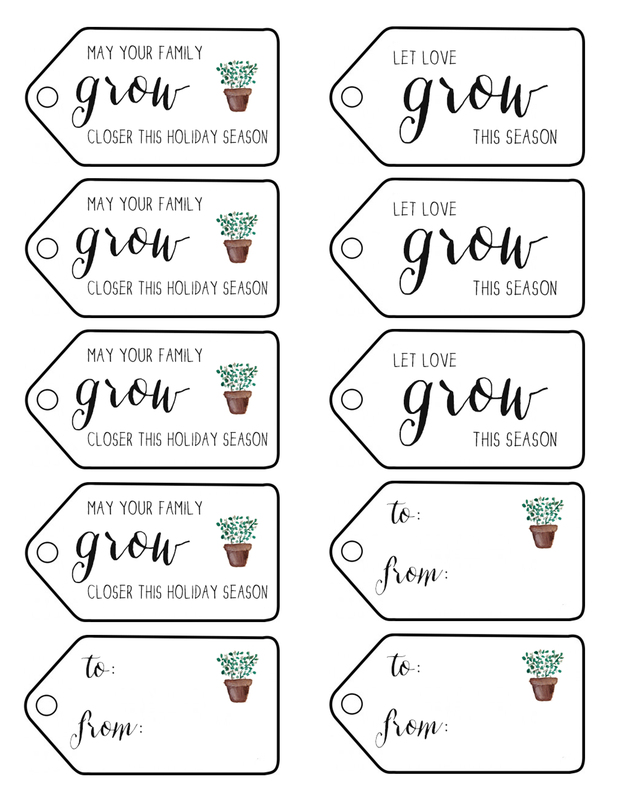 I’ve created some gift tags that you can print out and add to the containers. A plant is a great way to brighten up a space! She has this awesome tutorial for Painting Upholstery. You won’t believe the before picture of this chair! And her Pantry Makeover is so gorgeous and organized! 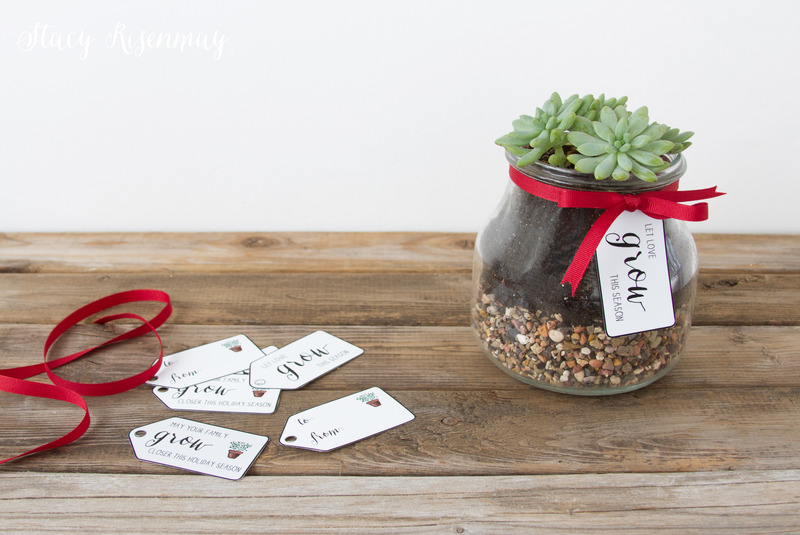 And she also has an amazing tutorial for these DIY Icicle Ornaments! 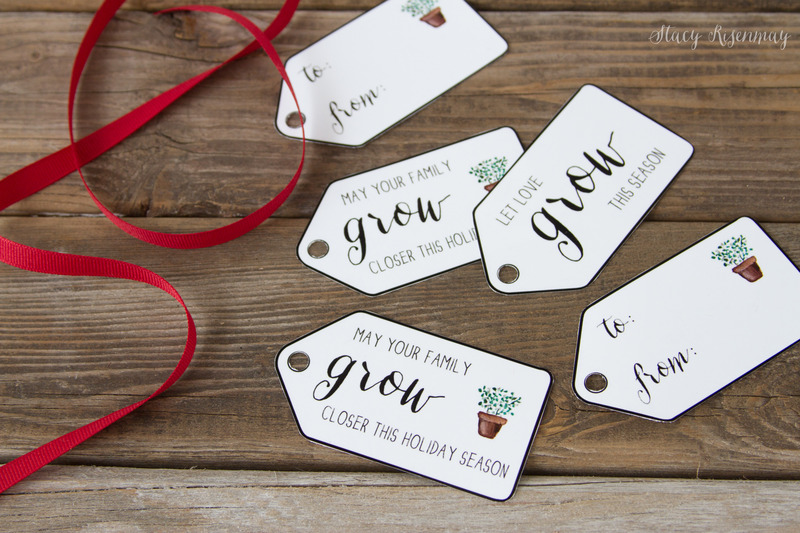 How do you print the tags? I love succulents! This is such a great idea! That is such a great idea! I’m totally going to have to remember it. Hi! Where do you get your plants … what are they called?